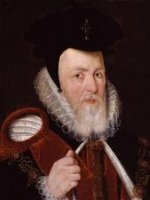 He was "Stout and Handsome"
Gwladys (Gwladus) was the daughter of Rhiwallon ap CYNFYN of Powys . 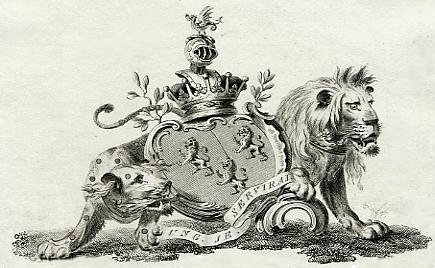 of Reginald GAY(T) of Northbrook, Oxfordshire, a minor noble. 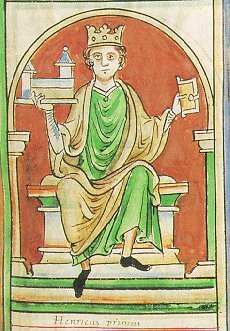 1st Earl of Gloucester 1122-1147, supporter of Empress Maud (Queen Matilda). children than any other English king). 1158 raid on Cardiff Castle by Ivor Bach ("the Little") of Senghennydd. (along with Hawise and their son Robert) and held until all land was returned. 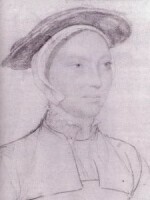 Lady Maud de Mandeville of Costow. (second cousins). 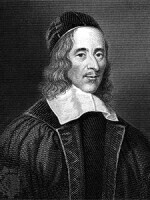 John tried to keep her lands after the marriage dissolved. and Nest vech Gruffudd (b.1114/28). for, then long resided in England. He returned to marry a rich heiress. His family is Welsh, descending from Caradoc Fraichfras. clear if these are identical, but I suspect so as they have the same father!!. 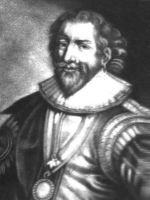 There is a claim that his second marriage was to "Gwenllizn"  (?=Gwenllian). Derynnock into the possession of Einion Sais. d. Einon Sais Castle (Eldest). Son of Joan ferch HYWEL (or possibly Lieucu ferch Hywel). Hywel, John, Gruffudd, Morgan, Thomas, Alice, Ffelis, Gwilym, Jonet, Elen & Roger. 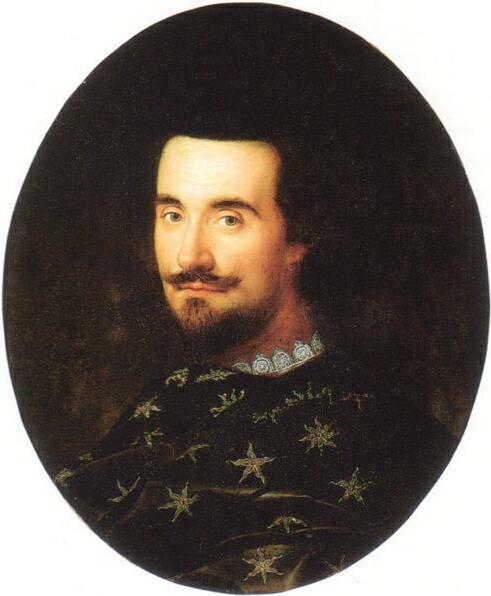 17 John BLAYNEY b~1578 d.1665. married a John BLAYNEY of Radnorshire (Kinsham Blayney line) 100yrs later! the template for "Fluellen" in Shakespeare's "Henry IV". 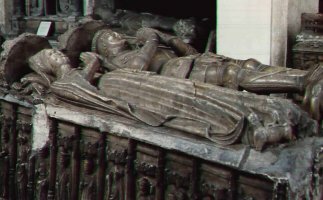 King Henry V who knighted his corpse. His famous death overshadows a somewhat less savory past. 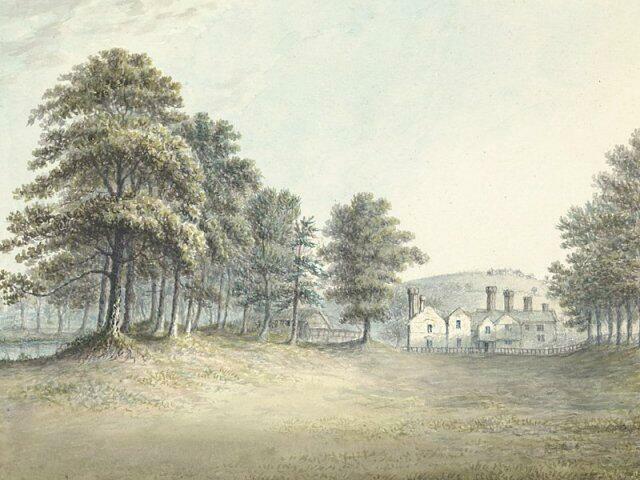 Tudful Ferch THOMAS or Gwilym ap Howel y Grach. dau of Meredith BWL GWALTER Gwilliam Llewelyn. 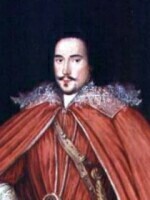 +(1)Sir Roger VAUGHAN of Bredwardine s/o Roger Hen. Known as the wealthiest 'commoner' in Wales . 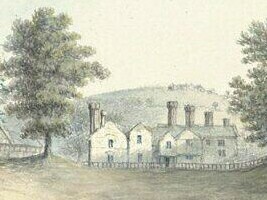 years before after the Battle of Mortimer's Cross . Gentleman of the Privy Chamber. Sheriff of Rutland. "21st in line of descent from Charlemagne". 1 Charlemagne Emperor of the West, King of Franks, "Charles the Great"
One of the barons who signed Magna Carta. "The Herbert Family Pedigree" [60h]. 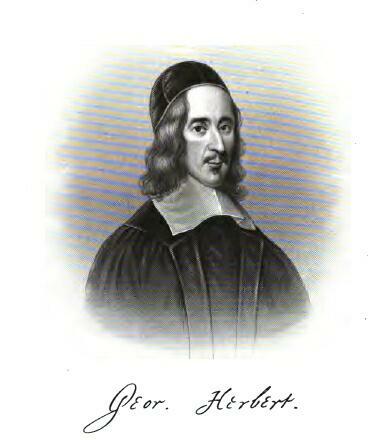 of Herbert fitz Peter, born 1275. So if Adam was not the son of Herbert fitz Peter, who was he? 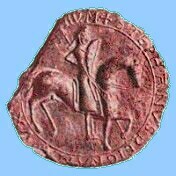 Darrell Wolcott claims he was a Welshman Cynhaethwy b.1225, son of Adam Gwent, a nobleman of purely Welsh ancestry and the connection to Lord Herbert, Duke of Cornwall son of Godwin was a fabrication, possibly to satisfy King Edward IV who commissioned Hywel Lloyd and others to find the true pedigree of the Earl of Pembroke. Secured the castle on marriage to Maud. 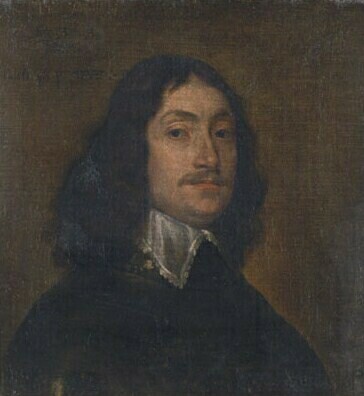 sole child and heir of Sir John MORLEY. 21st in line of descent from Charlemagne. 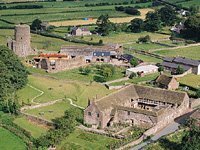 Knighted 1415 at Agincourt by Henry V.
built Raglan Castle, Gwent. See Raglan Castle photos. Carmarthenshire 1435 and of Glamorgan 1440. 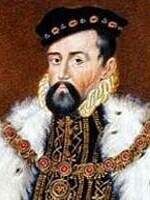 Ancestor of the "unrelated" Evesham / Kinsham Blayneys. (of the 8th creation); b.1423 (Pembroke). 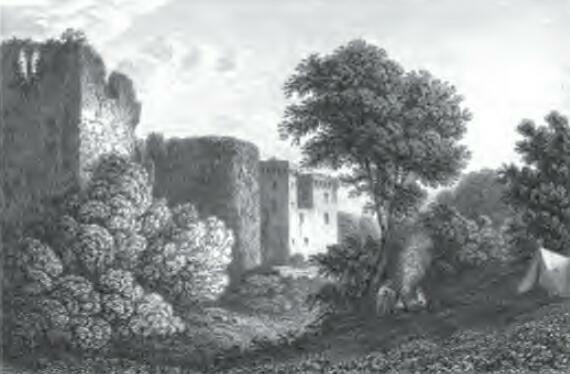 castles and in 1468, 1st Earl of Pembroke. 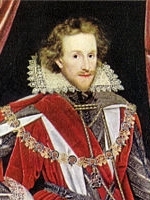 along with his brother Sir Richard Herbert, William accepted the surrender of the castle of Harlech on honourable terms from Dafydd ap Ieuan after a seven year seige. The defenders were the Men of Harlech commemorated in the song which is the "unofficial" national song of Wales. offering his life in place of the defending Captain . See more Harlech Castle photos. 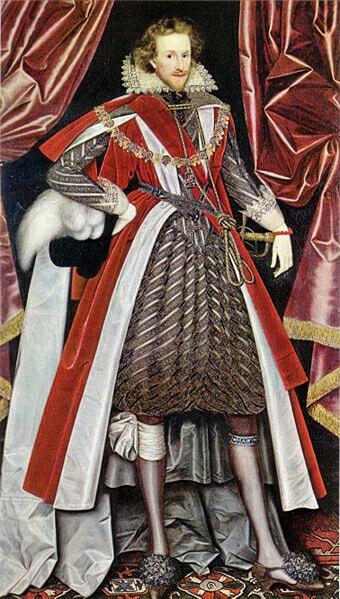 with Richard by order of "Warwick the King Maker"
and Clarence without opportunity of ransom. and Porter of Abergavenny Castle. b~1442; d.12Sep1510. and Alice (Jane) MANCELL, widow of John MALEFANT. 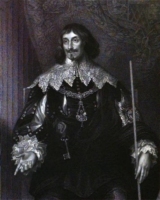 Lord Chamberlain to Charles I.
Caernarvon), Catherine & Mary (dsp). 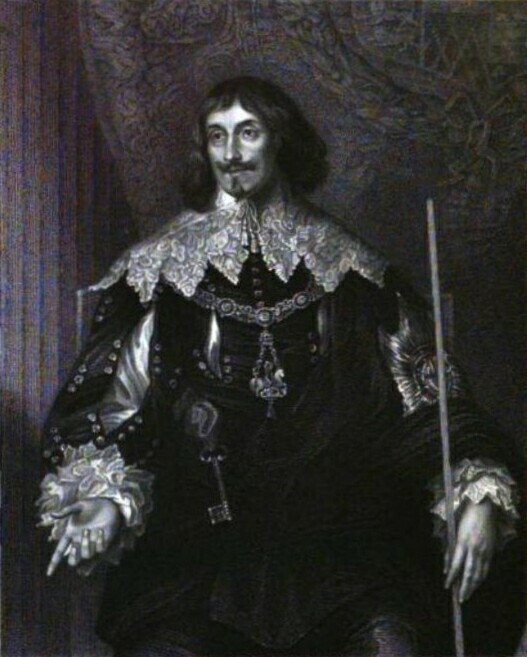 Richard Sackville, 3rd Earl of Dorset. of a similar mind to Lodge, above. "brought Catholicism into the family" . Entrusted with the infant Prince of Wales. 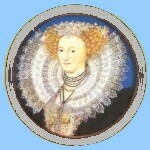 attributed to Frond by tudorplace.com). county, many of whom were said to be freeholders"
of Chirbury), Edward and 2 dau. 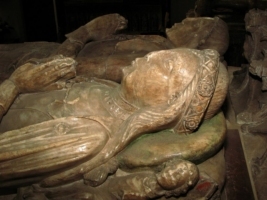 However she died "in her early years"
Banbury on orders of Richard, Earl of Warwick on 27Jul1469. Buried in Abergavenny Priory Church. 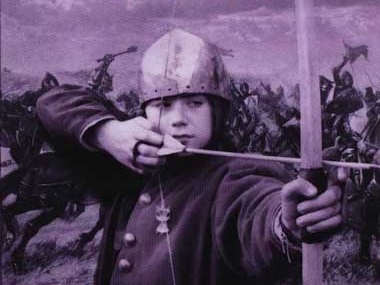 Richard III on Bosworth Field . of Gwenllian, wife of Thomas ap Evan Lloyd BLAYNEY. North and East Wales and Cardiganshire . 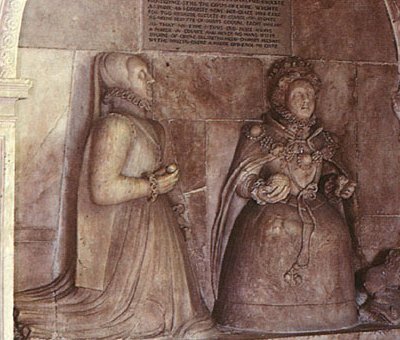 Ynysymaengwyn and Katherine (m. Sir Richard CROFT d.1Jan1562). 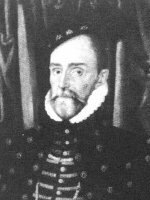 Sheriff of Mongomeryshire 1557 & 1558. Served at the battle of St Quentin. of Montgomery castle by the king's troops . as well as other books and poems including "De Veritate"
and "History of Henry VII"  . and Irish possessions in the Herbert name . in the Short Parliament, & for the borough in the Long. 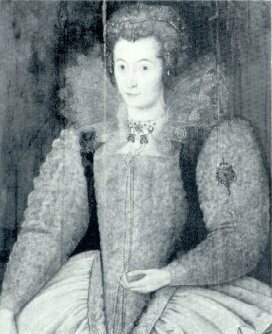 + Mary EGERTON, d/o John EGERTON 1st Earl of Bridgewater. 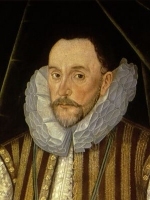 6 Richard HERBERT d.1622 "in the wars of the Low Countries"
6 William HERBERT d. "in the wars of the Low Countries"
Also renown for his courage. 5th son, named for his uncle George (New College, Oxford). eg "The King of Love My Shepherd Is". 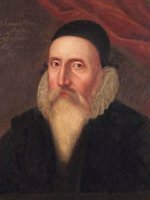 Wales, by whom he had a large family of twelve children. of Montgomeryshire 1564 then George Savage). from 1647 up to the king's execution. The Bascule was a device to raise a drawbrige. The more commonly known Herbert badge was the wyvern (winged serpent), which is also the crest. References for Herberts: Also see , , and . 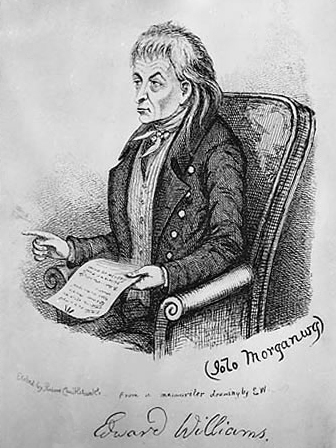 Iolo Morganwg (or Morgannwg in modern spelling) was the bardic name of Edward Williams (1747-1826), an influential Welsh antiquarian, poet, collector, laudanum (tincture of opium) addict and literary forger. Iolo first came to public notice in 1789 by revealing some previously undiscovered poetry by Dafydd ap Gwilym, (probably the greatest Welsh poet). These poems were in fact forgeries, but survived critical attention for over a hundred years. His success lead Iolo to move to London, where he become a significant figure in the Welsh community. He went on to author some fairly substantial works (most of which are now considered forgeries). Reverie by Graham Turner. 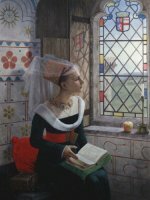 "Sitting at the window of a great castle, a fashionably dressed Lady looks up from her book, her mind clearly lost in distant thoughts. The view from the window identifies the setting as the Great tower at Raglan, Gwent, a fact confirmed by the heraldic stained glass panel. 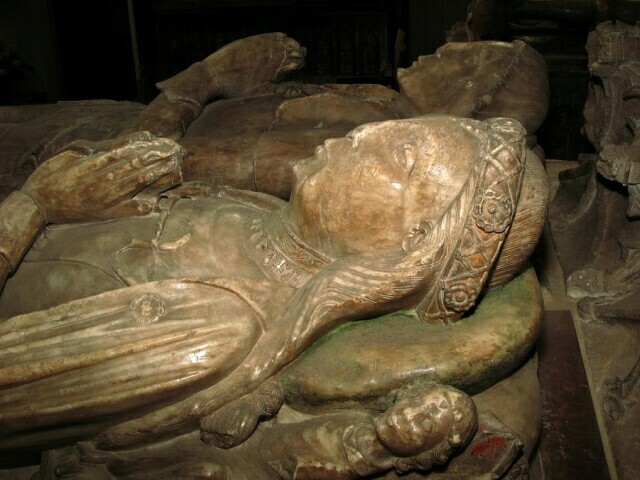 The arms are those of William Herbert, Earl of Pembroke, and his wife, Anne Devereux, so perhaps this is Anne herself, awaiting news of her absent husband. She knows the feeling of vulnerability that went hand in hand with power during the Wars of the Roses, with the great rewards available to the supporters of the victorious faction becoming possible attainder, exile or death when the tables turned. 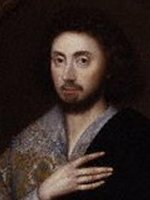 By allying himself to Edward, Earl of March, in 1461, and assisting him to accede the throne as Edward IV, William Herbert rose through the ranks of the English nobility at an incredible rate, to become the most powerful man in Wales when he was created Earl of Pembroke in 1468. However, on 26th July 1469, he was defeated at the battle of Edgecote while leading an army to crush 'Robin of Redesdale's' rebellion and, along with his brother, was summarily executed the following day on the orders of the Earl of Warwick. So, as she passes the time, the Lady in Graham Turner's sensitive and highly detailed painting has every reason to be concerned, for her future is inextricably linked to that of her husband and remains uncertain until he is safely returned".